ALEXANDRIA – The City of Breaux Bridge is suing some of the largest oil companies in the world claiming a gasoline additive has tainted the city’s water supply. It is being represented by local firm Boyer Hebert Abels & Angelle, as well as some of the biggest toxic tort attorneys in the country - Dallas-based Baron & Budd PC, New York City-based Weitz & Luxenberg PC and the Chalmette-based Cossich, Sumich, Parsiola & Taylor LLC. The City filed the lawsuit against the oil company defendants in the United States District Court for the Western District of Louisiana on June 26. In the filing, Breaux Bridge, which has a population of 7,500 residents, claims public water wells throughout the state, including in Breaux Bridge, have been contaminated by gasoline additive methyl tertiary butyl ether (MTBE). According to the lawsuit, MTBE, which is not easily biodegradable, is stripped from spilled gasoline when it is exposed to water and easily seeps through soil and contaminates water aquifers. “MTBE-contaminated water has a turpentine odor and chemical taste that renders it unfit for use as drinking water. Many individuals can smell and taste MTBE in water at very low levels - as low as one part per billion ("ppb") or lower,” the lawsuit says. 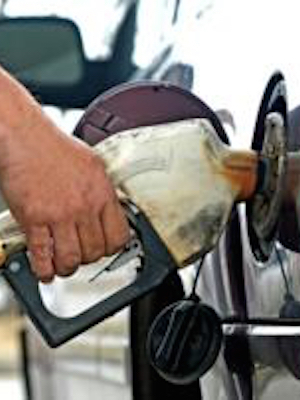 The City of Breaux Bridge contends the defendant oil companies began adding MTBE to gasoline in order to increase its octane rating in 1978 and by the 1990s the chemical comprised up to 15 percent of some gasoline mixes. In this instance, Breaux Bridge maintains MTBE was detected in two water wells owned by the city that process between 250 and 400 gallons of water per minute. In the lawsuit the plaintiff is asking the defendants be responsible for filtering the contaminated water to improve its quality and taste, which can be costly. The lawsuit does not contend that any residents have actually been harmed by the alleged presence of MTBE in the city’s water wells. Harold Leggett, former head of the Louisiana Department of Environmental Quality, said MTBE was backed by the U.S. Environmental Protection Agency as a fuel additive and to put the blame for MTBE pollution solely on oil and gas companies is wrong. The lawsuit filed by the City of Breaux Bridge also alleges gas companies should have known of the dangers of MTBE leeching into the ground via leaks from underground storage tanks that threaten Louisiana’s groundwater. “Given the properties of MTBE and the long history of gasoline spills, leaks and other losses during distribution, sale and use, widespread MTBE contamination of groundwater was inevitable and Defendants either knew of the probable consequence or should have foreseen it,” the lawsuit says. Leggett said it is just common sense that underground tanks that leaked MTBE, or any other chemicals, should be the responsibility of the tank owner. “The groundwater issue whether you have a leaking tank or whatever, that is primarily where the groundwater issue is coming from. That’s not necessarily MTBE’s fault, that is actually going to more of the responsibility that tank leaked. And any material that would have been in that tank would have been out there,” he said. While hundreds of lawsuits concerning MTBE have been filed elsewhere in the country this is believed to be the first such case in Louisiana. According to the lawsuit, MTBE pollution is widespread throughout the United States. But others, such as Leggett, maintain the MTBE lawsuits are indicative of a trend being undertaken by plaintiffs’ attorneys. “You’ll see class action lawsuits kind of pop up across the country and they kind sweep the nation. You had asbestos lawsuits, you had lead paint lawsuits, you see them sweep the country - to me this is one of those same type of things. That doesn’t mean it is not a real issue. I just think they say ‘If they are doing it in California, why don’t we do it here?’” he said. Boyer Hebert Abels & Angelle did respond to a request for comment. The defendants named in the case include Alon Refining Krotz Springs Inc. Ashland Oil Inc., Atlantic Richfield Company, BP Products North America Inc., Chevron U.S.A. Inc., Citgo Petroleum Corporation, Citgo Refining and Chemicals Company LP, Coastal Eagle Point Oil Company, ConocoPhillips Company, Diamond Shamrock Refining Company LP, El Paso Merchant Energy-Petroleum Company, Equilon Enterprises LLC, Exxon Mobil Corporation, ExxonMobil Oil Corporation, Marathon Oil Company, Marathon Petroleum Company LP, Mobil Corporation, Motiva Enterprises LLC, Paulsboro Refining Company LLC, PDV Midwest Refining LLC, The Premcor Refining Group Inc., Shell Oil Company, Shell Oil Products Company LLC, Shell Petroleum Inc., Shell Trading (US) Company, Sunoco Inc., Texaco Inc., TMR Company, Total Petrochemicals & Refining USA Inc., TRMI-H LLC, Ultramar Energy Inc., Valero Energy Corporation, Valero Marketing and Supply Company, Valero Refining and Marketing Company and Valero Refining-Texas LP.